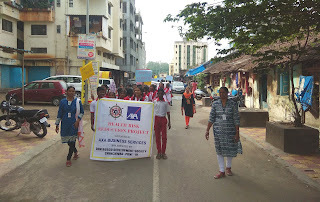 Chinchwad (Pune), 6-October-2018: The Don Bosco Development Society (DBDS), Chinchwad organized a rally to create awareness on addiction to tobacco in our society. 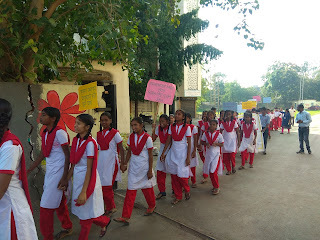 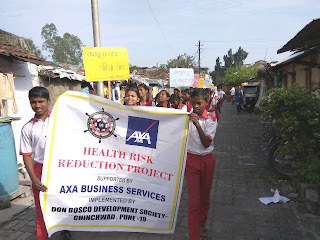 More than 110 children from Sopanrao Madyamic School participated in this rally which was held under the aegis of ‘Health Risk Reduction Project’ supported by AXA Business Services. 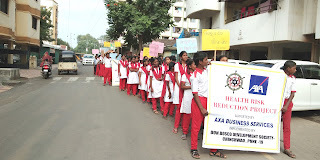 The objective of the rally was to raise awareness on harmful effects of addiction to tobacco. 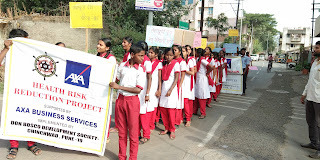 The rally communicated the message that chewing tobacco, smoking or consuming tobacco in any form causes Cancer. 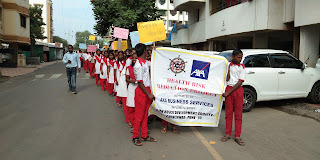 The rally also focused on prevention, detection, and treatment of Cancer. 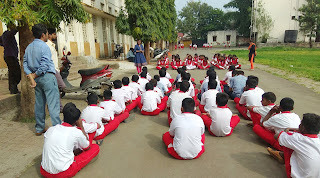 School children gathered at their school ground in the morning at around 8:30 am where they were briefed by the project staff. 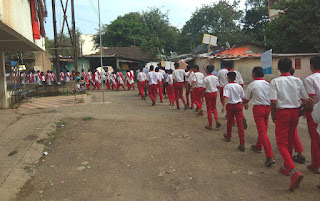 From there they walked through the lanes of Kalbhor Nagar slum and Chinchwad railway station. 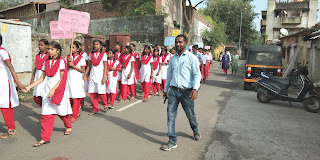 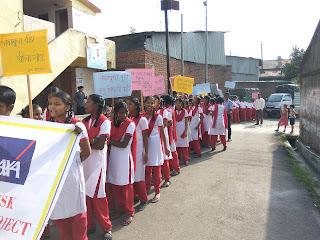 During the rally, children carried placards with slogans to stop consuming tobacco, harmful effects of tobacco, cancer awareness, and effects of chewing Gutkha etc. 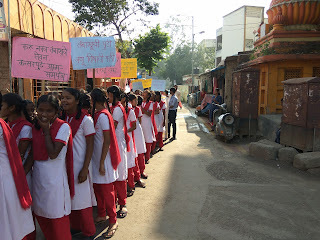 Children were very excited to participate in the rally and they shouted slogans to send their message to residents and commuters on the way. 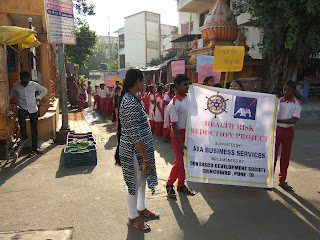 After the rally Ms. Lalita Chaudhari (Coordinator – DBDS) gave information on composition of tobacco forms of tobacco, harmful effects on body and mind, oral Cancer etc. 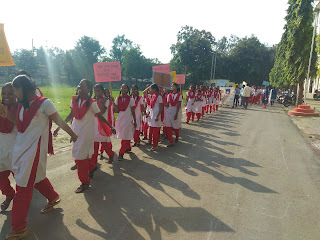 Snacks were served to children and school staff after the rally.